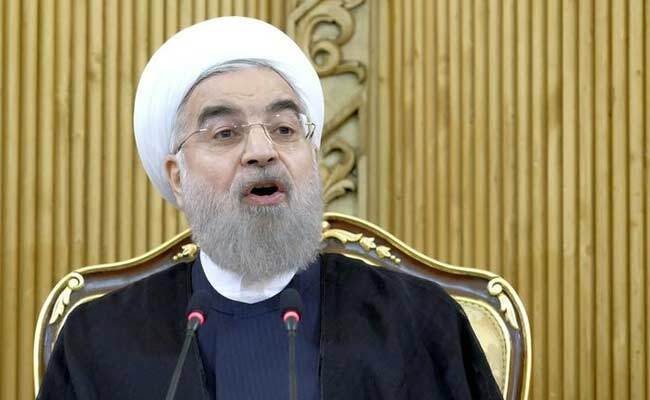 Tehran: Iranian President Hassan Rouhani, the driving force behind a 2015 nuclear deal with world powers, registered on Friday to run for re-election next month, state television footage showed. The politically moderate cleric faces a tougher than expected battle for a second term on May 19 as criticism mounts over the continued stagnation of the economy. The president appeared in the afternoon at the interior ministry, where registration to stand for the election runs until Saturday. He has made much of his successes in controlling inflation and reaching a landmark nuclear deal with world powers that ended many sanctions. "In every aspect that you consider, figures tell us that after the (nuclear deal), there is more space for movement and progress," he told reporters last week. Rouhani's support among moderate and reformist lawmakers remains solid, but disappointment with the 68-year-old's administration is palpable on the streets. Unemployment is stuck at 12 percent, the promised billions in foreign investment have not materialised, and he has failed to ease social restrictions or release political prisoners, including opposition figures held under house arrest for their part in 2009 protests. The conservative opposition remains divided, but attention has lately focused on hardline cleric Ebrahim Raisi, 56, who runs the powerful Imam Reza charitable foundation. Raisi has emphasised his concern for the poor, and is seen as a close ally of supreme leader Ayatollah Ali Khamenei. The conservative-controlled Guardian Council will vet the hundreds of registered hopefuls over the coming week, before releasing a final list of candidates.